📅 📅 January 2016 February 5, 2019 by Bruno B.
Dubai is a worldwide flight hub and if you are a frequent traveler, chances are you’ll be spending a layover there sooner or later. But what should you do in Dubai in one day? The first thing you can do to make the most out of your layover in Dubai is extending it. Depending on your final destination, Emirates allows you to choose between different layover times. Whenever possible, be smart about choosing the one that allows you for a decent layover during the day. You won’t be seeing anything of Dubai in 4 hours or if your flight leaves at 6am! We booked a flight that landed in Dubai around 8am while our next flight to Bangkok was only at 11pm. We did this on purpose so that we could have the maximum of day hours as possible. Even counting with airport times, this gave us a good 12 hours to explore the city. An ordinary view from the metro. You get to explore Dubai on a layover which is awesome! Between the long immigration queue (see tip below!) and the gigantic halls and corridors, we only got really out of the airport at least one hour later. The most inexpensive way to get to Dubai city center is by metro, conveniently sit just outside the airport. The interesting thing is that Dubai metro has two types of tickets: normal and VIP. Yes. For a bit more extra money, you can travel on the first carriage with glass ceilings for a better view of the skyscrapers of the city. We were on a tight budget and skipped this fancy feature, but that’s really up to you. Oh, and did I mention the carriages exclusively for women? Pro Tip: Don’t lose time in the Dubai airport! Chances are you will arrive in Dubai after a long-haul flight and with limited time to get to know the city. So the LAST thing you want is to lose time in an immigration queue as we did, right? I wish we had known about UAE Smart Gates before. These gates automatically check your passport. No need for queuing. Check the list of passports that apply. Burj Khalifa was the sight we’re looking forward to the most. As the highest building of the world – at least while Kingdom Tower in Jeddah is not finished – Burj Khalifa really makes an impression. It is an engineering delight and it manages to stand out in the busy Dubai skyline. Nothing really describes the feeling of looking up when you’re right next to it. Man, that’s high. Oh and once you’re in downtown, you can crouch as much as you can but it will be very hard to fit the whole building in your photos. Well, unless you’ve got a wide-angle GoPro. Worth Going Up Burj Khalifa – Yes Or No? We’ve debated this one for a long time. On one hand it’s not everyday that you can experience amazing views on the highest building in the world. I mean, it does not get higher than this. On the other hand, we’ve heard the queue to get in to the Observation Deck might be a huge time waster. This is not something you want to risk when you’ve got so little time in Dubai. Plus the ticket seemed an absolute rip off. 30USD is enough to survive an entire day in Thailand where we were headed next. If you want to go during sunset time, it will be even more expensive. Budget was decisive here and we ended up deciding not to go up. If you decide otherwise, note Burj Khalifa tickets can be bought online. Go Shopping… Or At Least Pretend To! Dubai is widely known for its enormous malls and no visit is complete without at least contemplating how over-the-top they can be. I mean, the Portuguese have a thing for big malls, but this is a WHOLE. ANOTHER. LEVEL. 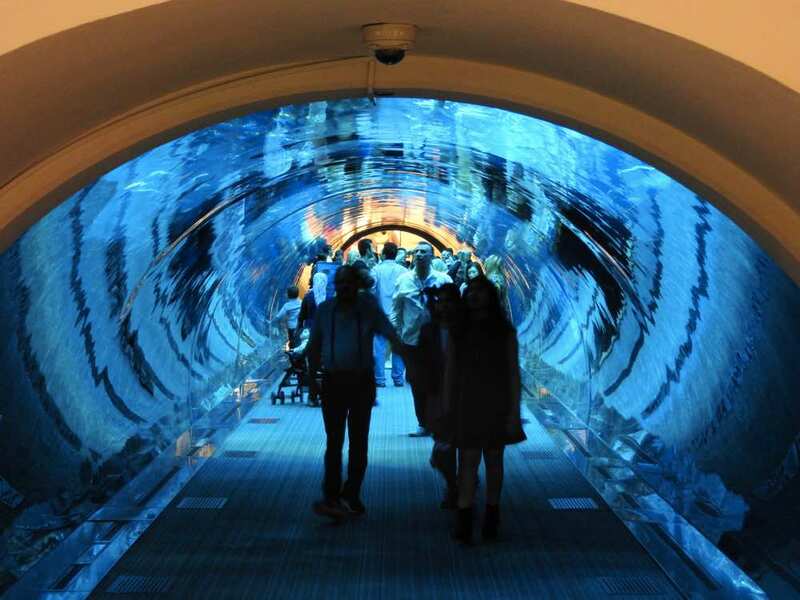 There’s this huge aquarium in Dubai Mall where you can walk in an underwater tunnel right next to sharks or stingrays. Dubai malls feel more like urban playgrounds. Or why not hit the slops on the indoor skip slope of the enormous Mall of Emirates. And before you wonder yourself, yes, it’s real snow! 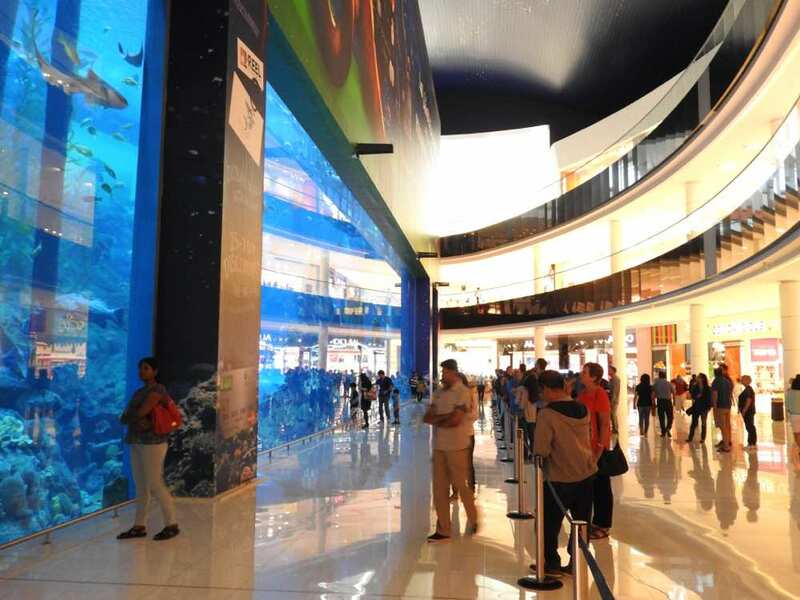 More than actually buying stuff – prices are at most, in pair with other places in the world – the experience is what makes shopping in Dubai so intriguing. The malls felt like more urban adult playgrounds than anything else. We managed to hit both Mall of Emirates and Dubai Mall and what I enjoyed the most was definitely The Souk in the latter. Full of state-of-art stores, impeccably organized into different sections – clothing, jewelry, shoes – you can still get easily lost inside! It felt like a modern twist on the Grand Bazaar in Istanbul, where I had my first haggling experience!. 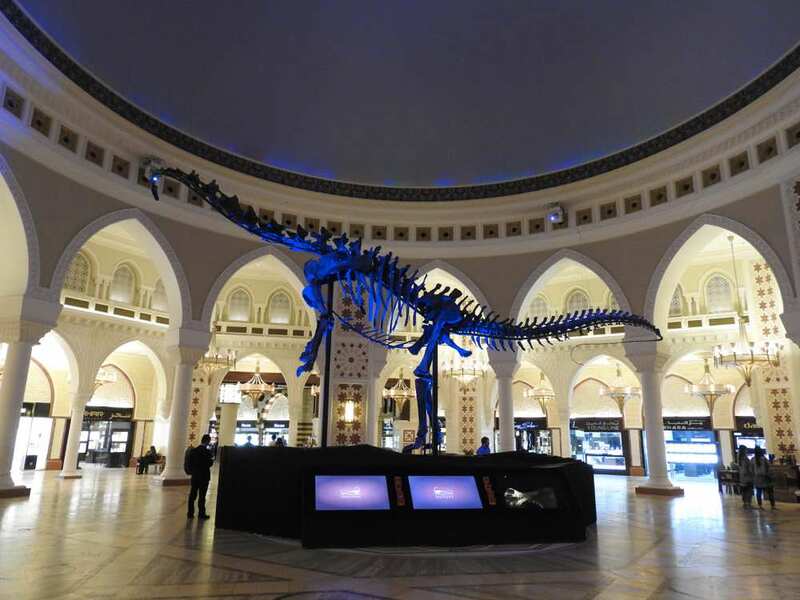 Oh and there’s also a real dinosaur skeleton in the entrance of the Souk. Why? Because of reasons. In a city where everything can be easily overpriced, malls in Dubai are a great place to grab something to eat. The good thing about it is there’s something for every taste and in every hour of the day. Obviously food courts are not the most luxurious food experience, but it will surely save you some dirhams in the end of the day. In a city surrounded by desert and which such impressive skyscraper jungle, it’s not hard to imagine sunsets can be quite of a view. Make sure you choose the right place to be at the golden hour! We left Mall of the Emirates and hopped in a bus directly to Sunset Beach. Getting a ticket was a hassle (see below), the journey was quite sluggish and we had to run like hell to the beach to get there on time, but it was all worth it. 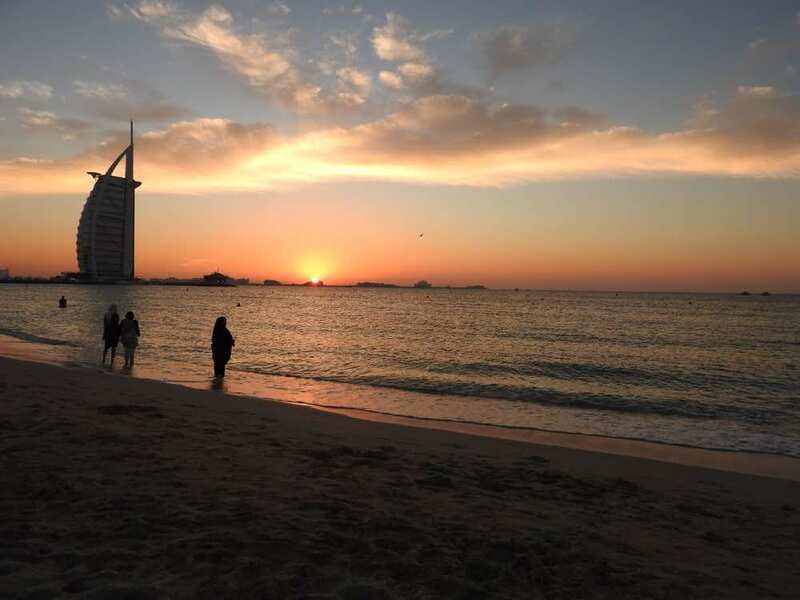 You might know Sunset Beach as it has the best views of Burj Al Arab, the super luxurious 7-star hotel shaped like a sailboat. The name says it all and the beach really was up to the expectations! The highlight of a veeery long day. Dubai excels in many aspects but I’m afraid public transportation is not quite one of them. While the metro runs seamlessly and frequently, getting a ticket can be quite of a hassle. Like everything in the city, queues are HUGE, especially in the stations more popular with tourists. Buses are even worse. Automatic ticket machines are rare (to say the least) on bus stations. To avoid wasting time in queues like us, I suggest getting two or three tickets at once or just buy a day-pass in one of the metro stations. After a very long day after a very short night sleep in the plane, at this point, we were exhausted. But with 4 more hours to go until our next flight, we could squeeze in a visit to one of the evening shows of Dubai Fountains. Dubai Fountains are the world’s largest choreographed fountain system and display light and dancing water shows in sync with Arabic and world music. 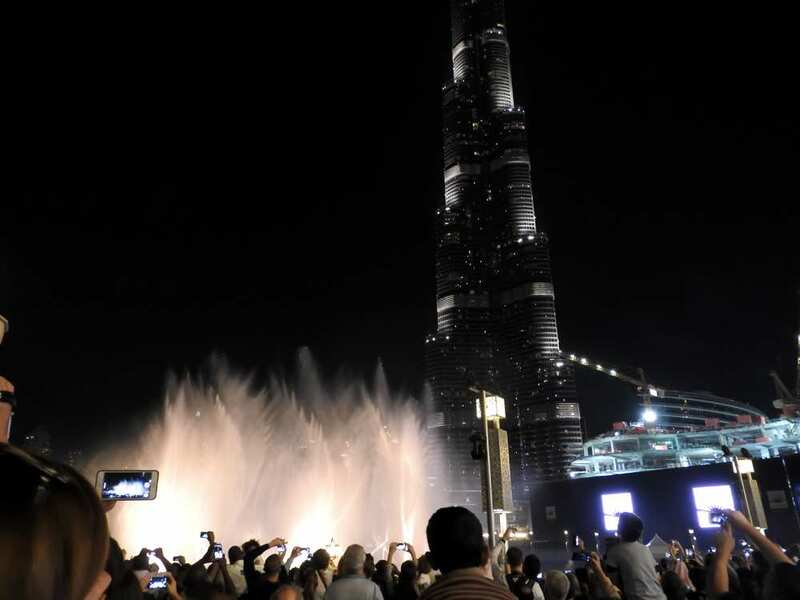 Each evening, huge crowds gather around near the entrance of the Dubai Mall or in the restaurants overlooking the manmade Burj lake to see the show. At this point, I thought nothing would really surprise me in Dubai, but the show still managed to impress at some moments. The lighted Burj in the background created a stunning backdrop and the water jets can reach an equivalent to a 45-story building (!). Didn’t know a water show could gave me chills! However, I’ve got to say I was expecting slightly more. Firstly, each show only lasts one song – about 4 minutes. Then, there is definitely some room for improvement as far as synchronization is concerned (maybe I’m just too picky after seeing the Font Màgica show in Barcelona?). Nevertheless, I think it’s a show definitely worth to squeeze in your agenda. For us, it managed to be the perfect farewell to Dubai! Afternoon shows are at 1pm, except on Fridays at 1:30pm and 2pm. IMO evening shows are much more interesting, taking place every 30 minutes, from 6pm to 11pm. Make sure you arrive early to get a decent place. If you’re feeling luxurious, book a table in one of the restaurants nearby or even rent a boat for an up and close experience. This skyline is going to linger in my memory for a long time. Dubai is a layover paradise and they know it. Emirates is literally everywhere and powers up a huge chunk of tourism coming to the city. Dubai is totally the opposite of I am used to appreciating in travel destinations – simplicity, local feeling, integration with nature – but somehow it made me intrigued. I was surprised by how much you can see and do in Dubai in just one day to get a good grasp of this whole different world. 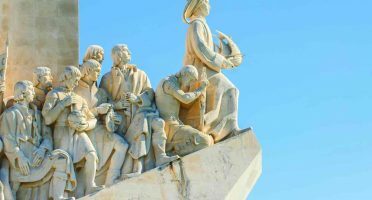 They have the goal to become the “modern capital of the humanity” and that’s exactly why all the extravagancies and over-the-top constructions work. It’s kind of addicting. Ooooor you can just forget about all this and simply head to the desert on a day tour. You can easily do it if you arrive early in the morning to Dubai and leave in the evening. We seriously discussed this for a moment, but I guess Burj Khalifa & Co. won in the end. Maybe next time. Have you ever stopped for a layover in Dubai? What did you do? I really impressed with the detailed itinerary of only one day in Dubai. Just I am about to plan simply following this. What a great itinerary for one day Dubai layover. It’s brilliant planning. 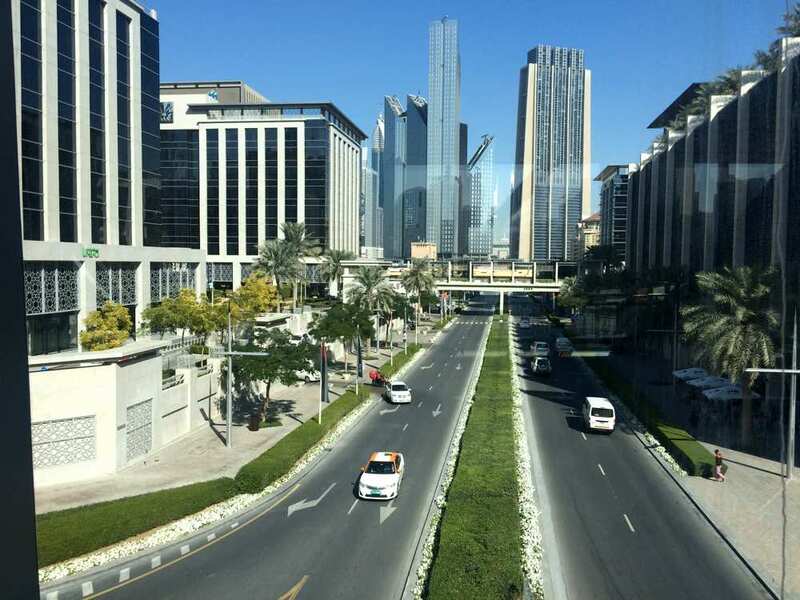 During my 12 hour layover in Dubai, I used the Dubai Metro to travel to the top attractions. Burj khalifa, Emirates tower, Dubai Marina and Mall of the Emirates shopping mall. Each stop was brief, just wandered about and took some clicks. Getting into Mall of the Emirates was quite easy. There was a walkway straight to the mall. Had nice shopping and good dinner. 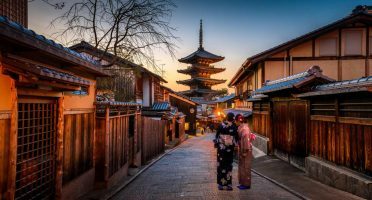 By the way, I started out my travel blog recently. Great information, just wondering would you recommend or consider a hop on/ hop of 24h bus ticket? We have a full day to fill in and I cant seem to find an organised tour that shows what we really want to see? What about the mosque, did you consider visiting it? 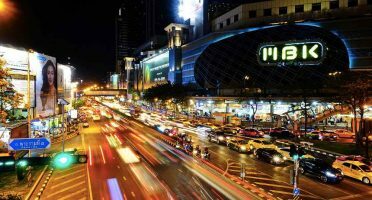 Planning on going to Thailand in February and I’m trying to decide if I should choose a direct flight from London or with a layover in Dubai. This definitely helps a lot. Great tips. Thank you, enjoy your trip! I’m doing the exact same trip. Emirates to dubai layover and then thailand! we will be staying in dubai for 12 hours. where did you leave your luggage? My checked-in luggage went directly to Thailand. I’ve only kept a small backpack with me to explore Dubai. so Emirates will send your luggage on to your final destination ahead of you?? That’s awesome ! Also…did you convert $$ to local currency or did you use USD? Hey Bruno, wonderfully helpful post! One question; where did you take the last photo with you in front of the water and amazing skyline? Just in front of Dubai Mall. That is the spot of the Dubai Fountain show. Love these tips, Bruno! We’re always unsure what to do on a short layover between flights! Totally using your recommendations! Definitely it does. It can perfectly be the capital of the world!